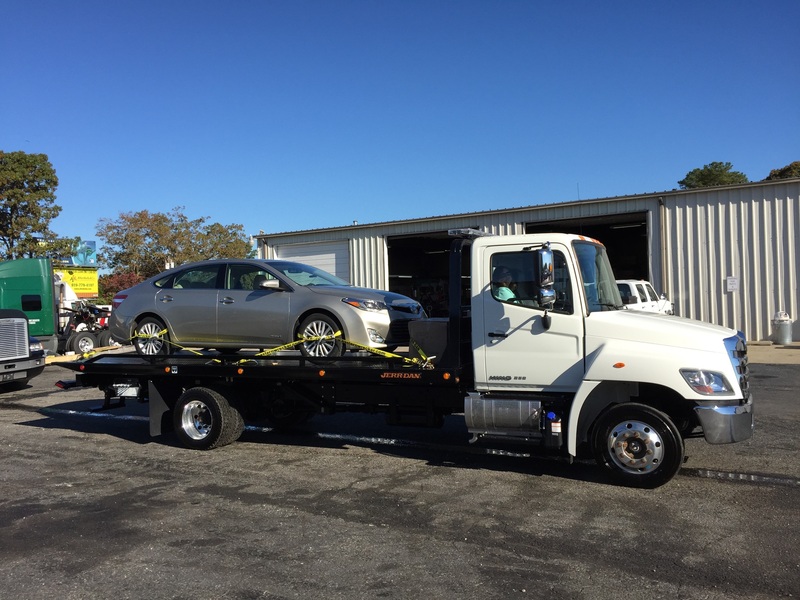 Tom's Automotive Wrecker Service is a extension of Tom's Automotive Service Inc. You can expect the same professional service that Tom's has been known for since 1952. You will notice a difference from the type of straps we use to tie down your vehicle to how clean the inside of our wrecker is. We are professional. It is always a tough situation when your family member calls with a breakdown and you can't pick them up. Trust your family to us. Our wrecker can seat 2 passengers and we can arrange transportation for up to 7 additional passengers for a small fee. For more information about our MECHANIC AND BODY SHOP, CLICK HERE.